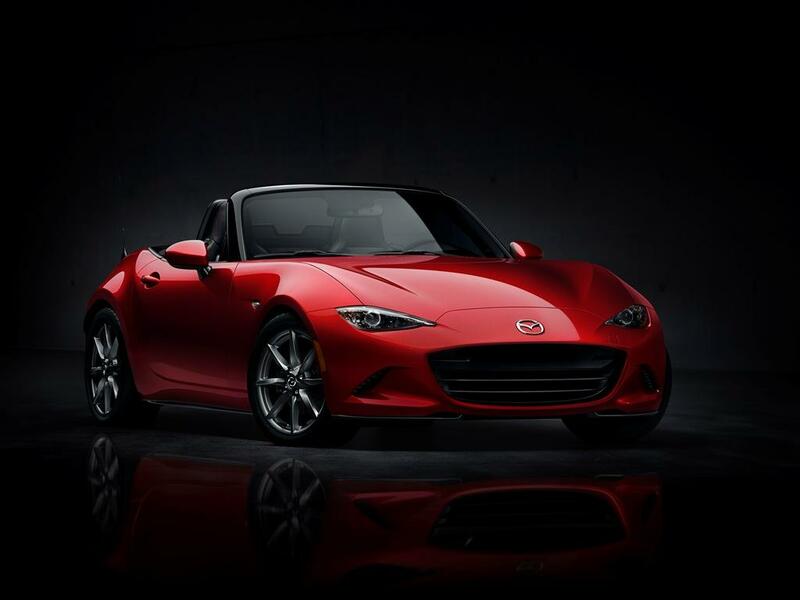 Mazda would be exhibiting 2016 MX-5 Miata Club Edition at New York Auto Show next week. The car would boast a muscular body and it would likely borrow aerodynamics from track-only MX-5 Cup. It is powered by SKYACTIV 2.0-liter four-cylinder engine. The unit generates 155 hp of power and 200 Nm torque. The car makers offer two choices- six-speed automatic and/or six-speed manual. In case of manual transmission, the 2016 US-spec model will hit the scales at 1,057 kg. As for the automatic version, the weight amounts to 1,080 kg. Chances are low that the Club Edition would have less weight than the roadster that is already quite light. But it is possible that Mazda tunes the suspension and chassis. The MX-5 first entered the US automobile markets in 1989. The MX-5 Miata Club Edition would be shorter as compared to the first-generation model of MX-5. But its width would be greater than outgoing models and the engine would be lower. As the company says, 2016 MX-5 has been engineered to provide the best possible driving enjoyment. It aims at maximizing the thrill of driving experience and draws inspiration from the original lightweight sports car. But it would be futuristic with its sophisticated and modern package.